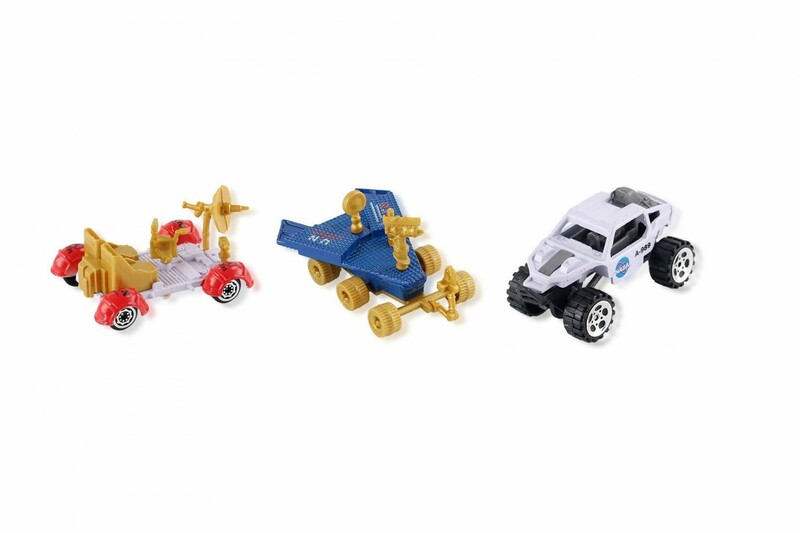 Master Box Dimension : 25" X 18" X 21"
Go to Mars, Space and adventures beyond! Features 15 pieces. Includes space shuttle, 2 satellites, 2 rovers, 2 astronauts, 2 rockets, airplane, car, 2 cones, rock, and signpost. 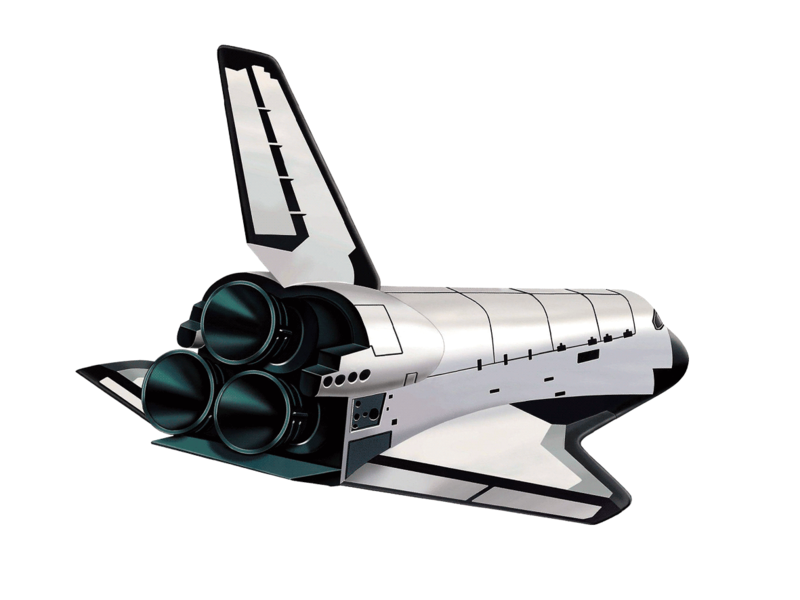 Space shuttle comes to life with realistic lights and sounds that will make you feel like your really there. 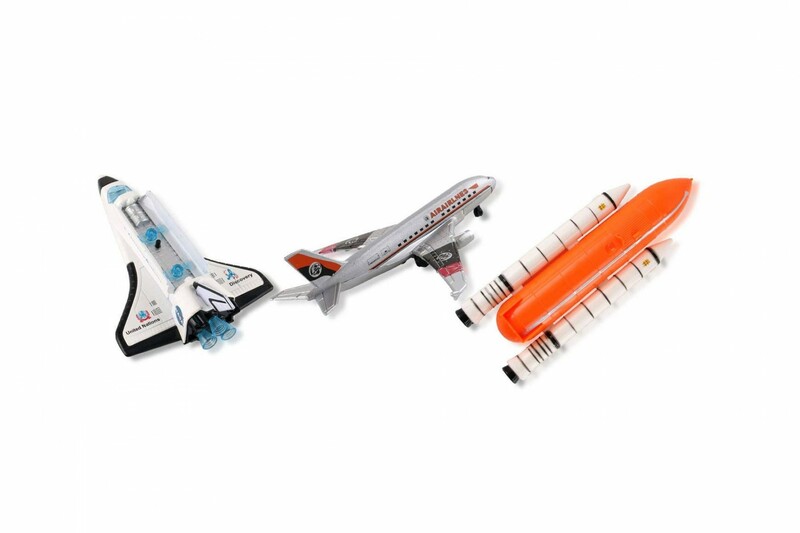 Space shuttle attaches to rocket! 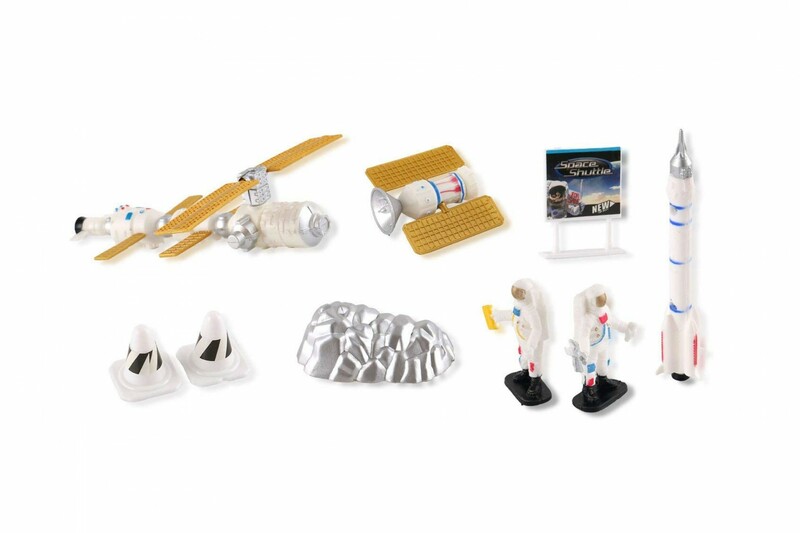 Your kids will love exploring this space playset and become astronauts! 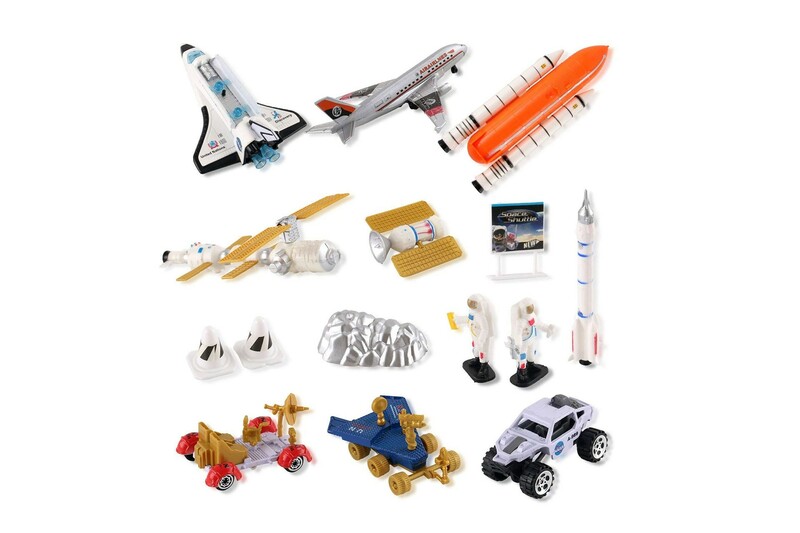 Includes space shuttle, 2 satellites, 2 rovers, 2 astronauts, 2 rockets, airplane, car, 2 cones, rock, signpost.